Samsung has today unveiled the first monitors that support AMD's FreeSync variable refresh technology over HDMI, instead of through DisplayPort. While the experience should be mostly the same, delivering FreeSync over HDMI allows consumers to use more common (and often cheaper) cables and connectors. The three monitors Samsung has unveiled all pack 1080p displays, and all support FreeSync over HDMI, although unfortunately the refresh rate is capped at just 60 Hz. All three monitors also use VA LCD panels, with brightness and contrast ratings of 250 nits and 3000:1 respectively. For those that prefer flat displays, these new monitors might not be for you, as Samsung has implemented a 1800R (1800mm radius) curve in all three. This is a pretty strong curve as far as curved displays are concerned, with many other monitors opting for less tight 2700R or 3000R curves. The three curved monitors on offer with FreeSync over HDMI are split between two lines: CF591, as a single 27-inch monitor; and CF390, where there's 23.5- and 27-inch models available. The main differences between these monitors are in features, with the CF591 covering 117% of the sRGB color space, and offering dual HDMI ports, a DisplayPort, and built-in 5W speakers. The CF390 series doesn't offer any of these features, instead packing just HDMI and VGA. 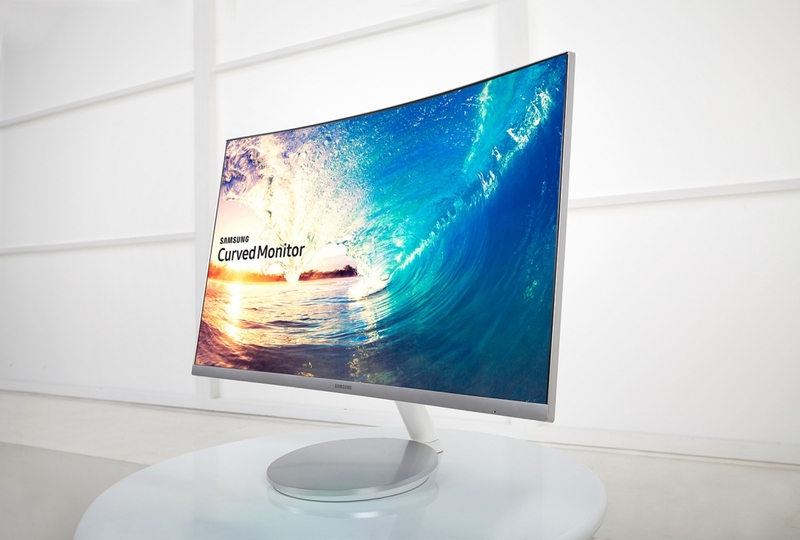 Samsung's new monitors will be hitting the market in March for those in the United States, Europe and Asia, with other markets to follow in April. Pricing has yet to be announced.